Mad Decent, new sub label is called Jeffree, It’s what Mad Decent was originally made for new artists thinking outside of the box. There is ONE BIG DIFFERENCE.. Jeffree’s releases are FREE..
Also I would like to add this is a sub label which role is to showcase innovative sounds from some of the world’s best up-and-coming producers. Although we all know that the fact that Mad Decent releases “innovative sounds” perhaps will create some buzz around, specially in some circles who already know or knew about that specific genre. 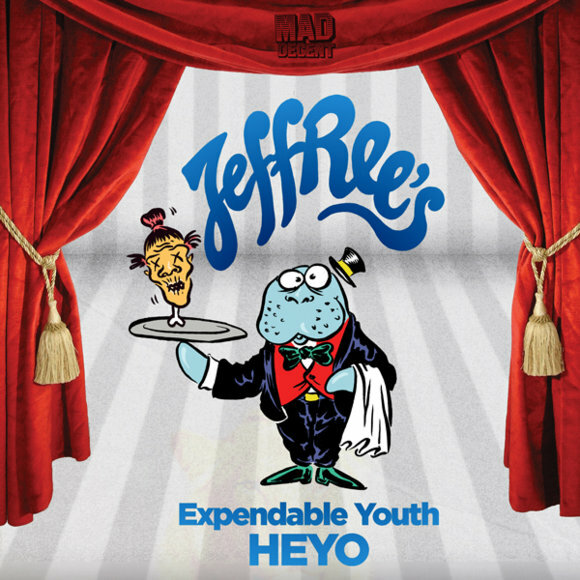 In fact, Expendable Youth’s Heyo! has been a secret weapon among Mad Decent DJ’s for a few months now. So back to the Point I was saying.. The fact the Mad Decent drops a FREE releases sub label can generate all sort of feelings indeed.. Some people tend to think that not only Mad Decent but also Diplo have become known for taking an “unknown” culture and exposing it to the world. Although we have to point that he is not the only one who has probably “discovered,” re-framed, and sold it audiences in another part of the world. World Music Putumayo and Cumbancha, African Awkwaaba and Faluma among HUNDREDS of independent labels who mainly are run by a “foreign” who fell in love with a specific culture(s) and the music.. AND to want their music to reach larger audiences and the fact they facilitated the exposure for many genres is something I personally always be thankful. The fact Capitalism is vital part of the music industry makes this sub label much more outstanding. We will hope to drop each Jeffree’s release asap! !